Where Roots And Wings Entwine: Bizzy Bitz - review. Bug loves creative and construction toys. He can spend hours creating and building something, letting his imagination run wild as he crafts to his heart’s content. 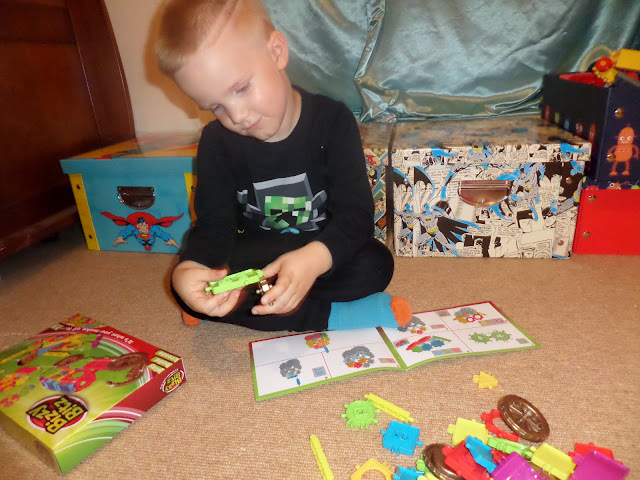 As Bug loves toys that allow him to create and build things from his imagination he was very excited about using the 63 piece Bizzy Bitz set to make something. 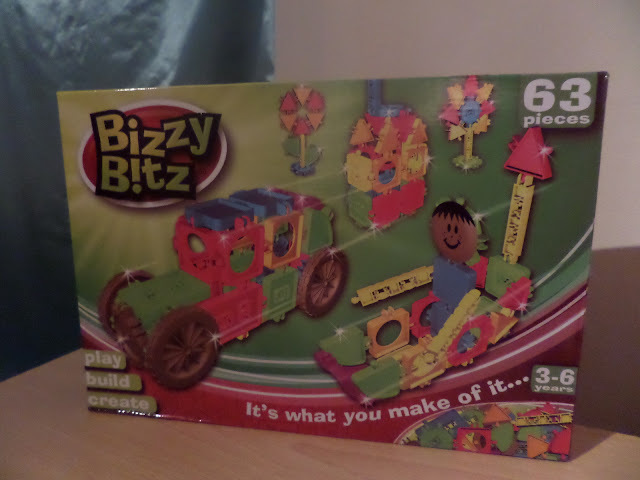 Bizzy Bitz is a construction toy that consists of various plastic pieces including wheels, triangles, rods and squares. 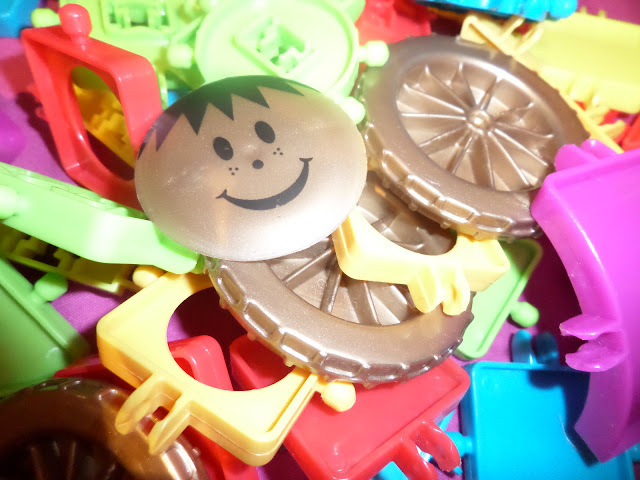 The plastic pieces lock together using a clever ball-and-socket system that allows children to create and assemble a variety of things and shapes, both 2 dimensional items and 3 dimensional structures. The set comes with a little booklet that showcases just a few of the things that can be made with the plastic pieces, with pictures shows children how to create the models and shapes. The set can also be used for freestyle construction, allowing children to create whatever they desire using the pieces and their imaginations. 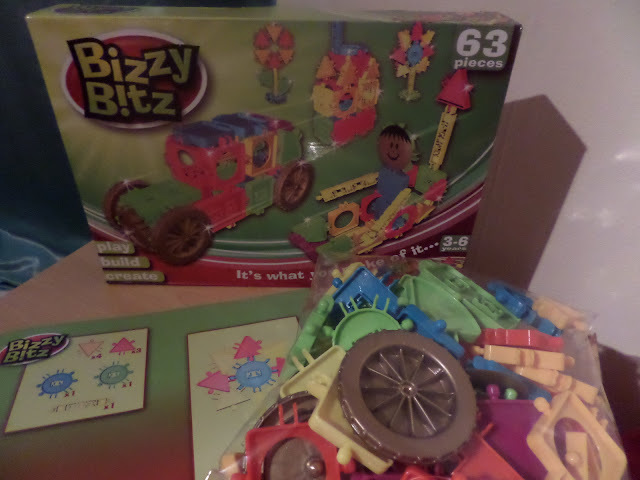 The set sent to Bug includes 63 Bizzy Bitz pieces and aimed at children aged between 3-6 years the set is ideal for him. He was immediately intrigued with the set, loving the colourful pieces and various shapes. The pieces allowed Bug to reinforce his knowledge of colours and shapes as he told me all about what particular pieces he had used in his creations. 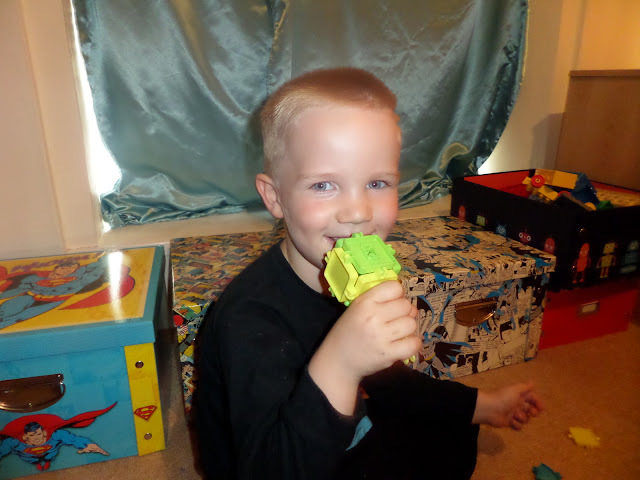 Bug enjoyed using the robust, easy to grip pieces to create a variety of things. The ball and socket system is great for developing fine motor skills and improving dexterity, and the construction fun is also great for helping spatial awareness. Whilst Bug could easily fit the pieces together there were a few pieces that did not go together as easily as others. 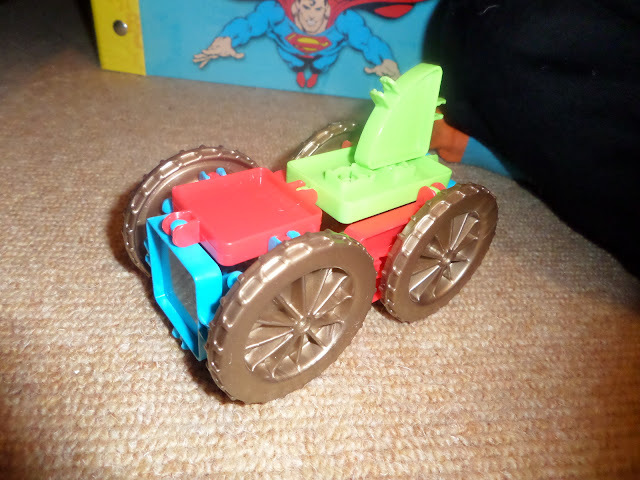 Also whilst Bug loved creating things and had lots of fun doing so he found it a little annoying that he could not play with his vehicle creations smoothly as they did not drive around easily but on the whole this did not deter him from his enjoyment at constructing things with Bizzy Bitz. The kit sparked Bug’s imagination and was a great tool for helping him showcase his creative side. A great benefit of the set is that provides multiple possibilities for creating a variety of things, the only thing I would say is that obviously the smaller kits with less pieces compared to bigger kits with more pieces will limit what can be created. 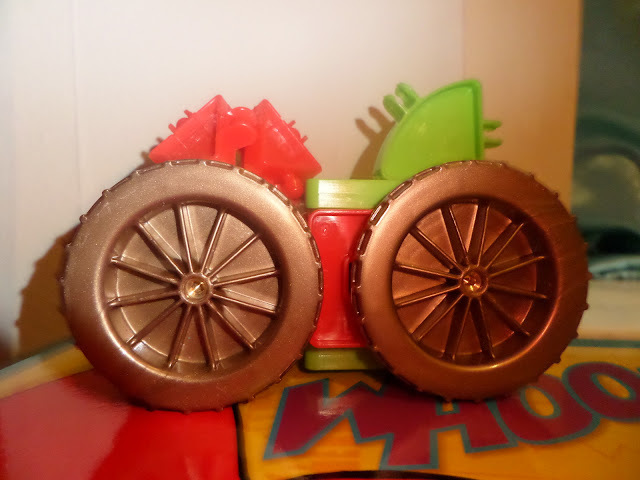 At times during Bug’s creative sessions with Bizzy Bitz he commented that he could do with another wheel or another rod to create what he was imagining. Thankfully though there are a range of kits available for children to expand their Bizzy Bitz collection. Kits range in price and size, with kits starting from £2.49 for a faces pack, up to £79.95 (RRP) for an ultimate deluxe builder set which has 850 pieces. The 63 piece set Bug was sent has an RRP of £9.99. 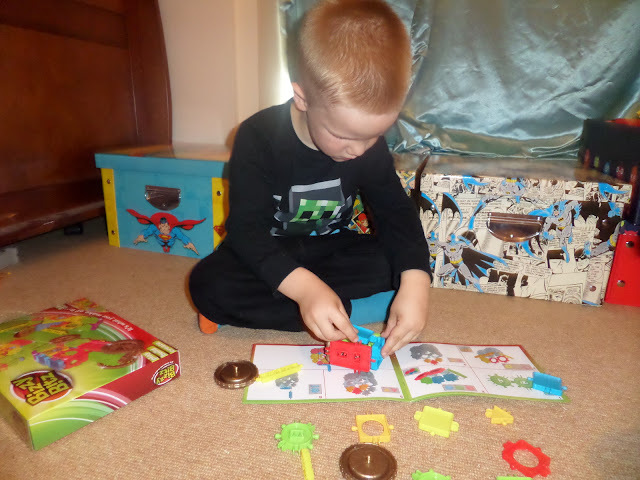 Overall Bug loves the Bizzy Bitz set and it is a great alternative to other construction toys for lots of creative fun. I like that as well as providing fun, Bizzy Bitz has educational value too by helping children learn about and improve their patience, dexterity, fine motor skills, problem solving and dexterity.